Floodwaters have receded, but authorities warn snowmelt in the Dakotas and Minnesota will escalate and send more water down the Missouri and Mississippi rivers. 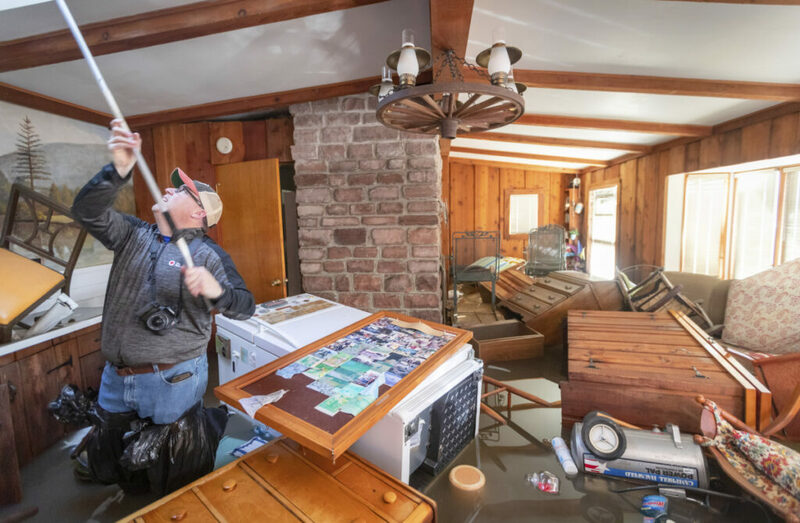 ST. LOUIS — Even as floodwaters receded in hard-hit places in the Midwest, experts warned Saturday that with plenty of snow still left to melt in northern states, the relief may only be temporary. Rainfall and some snowmelt spurred flooding in recent weeks that’s blamed in three deaths so far, with two men in Nebraska missing for more than a week. Thousands were forced from their homes in Nebraska, Iowa and Missouri as water broke through or poured over levees in the region. The damage is estimated at $3 billion, and that figure is expected to rise. Lt. Col. James Startzell, deputy commander of the Corps of Engineers’ Omaha, Nebraska, district, said even warmer temperatures are possible into this week. He urged people living near rivers to be watchful. A precautionary evacuation involving hundreds of homes in the St. Joseph area was lifted as the Missouri River began a swift decline after unofficially rising to a new all-time high, inches above the 1993 record. St. Joseph was largely spared, but Brinton said 250 homes were flooded in the southern part of Buchanan County. It wasn’t clear when residents would be able to get back.